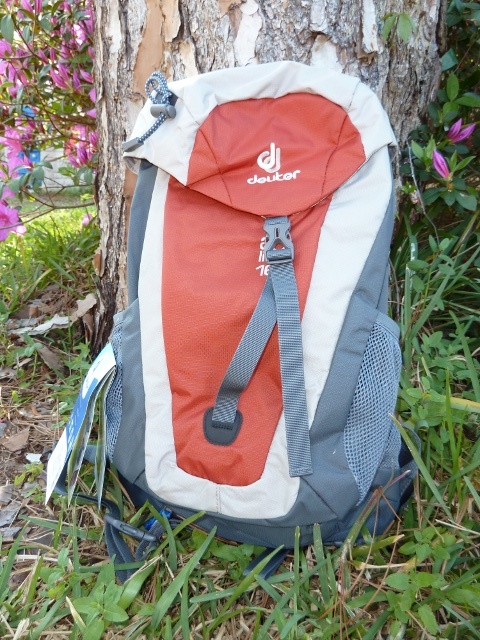 The Deuter ACT Lite 16 is daypack that’s small in size but big on features. The large size is for torsos between 19 and 21.5 inches. It has a capacity of 16L or 1000 cu in and weighs just under 2 pounds (1 lb 14 oz to be exact). The quality of the pack is exactly what one would expect from Deuter and the Lava/Oyster color scheme makes for an aesthetically pleasing pack. The ACT Lite 16 uses Deuter’s Advanced Aircomfort System consisting primarily of a suspended mesh back to help aid airflow and keep the pack away from your back. 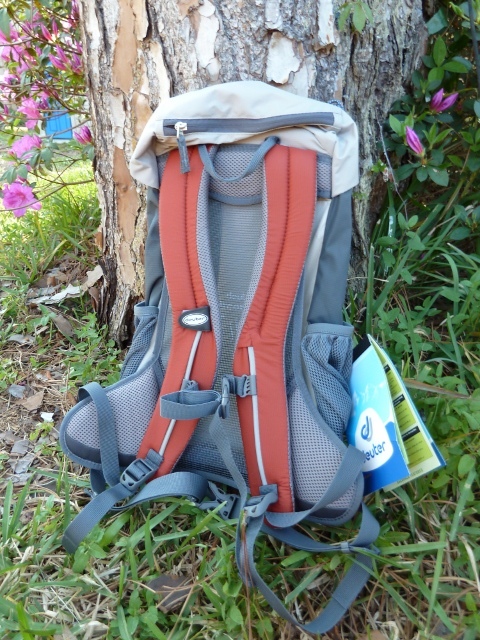 The pack has S-shaped shoulder straps, a simple waist belt, and adjustable sternum strap. 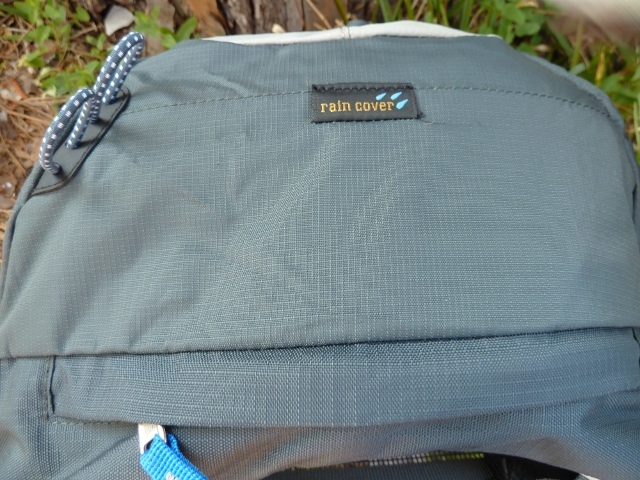 The top cover has zippered pockets inside and out. 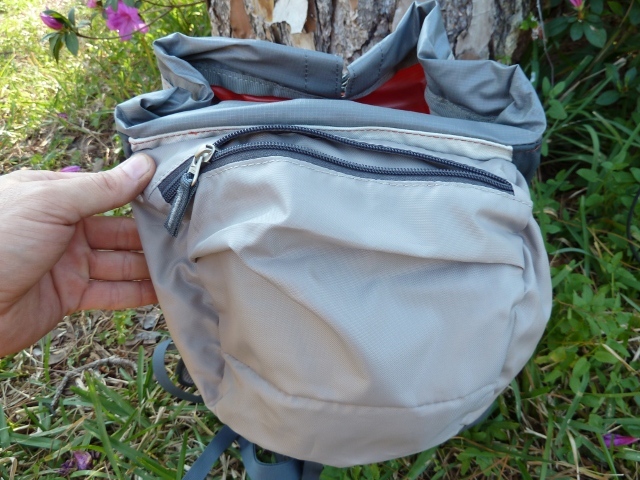 Inside you’ll find a sleeve for a hydration bladder and a port to exit the pack. 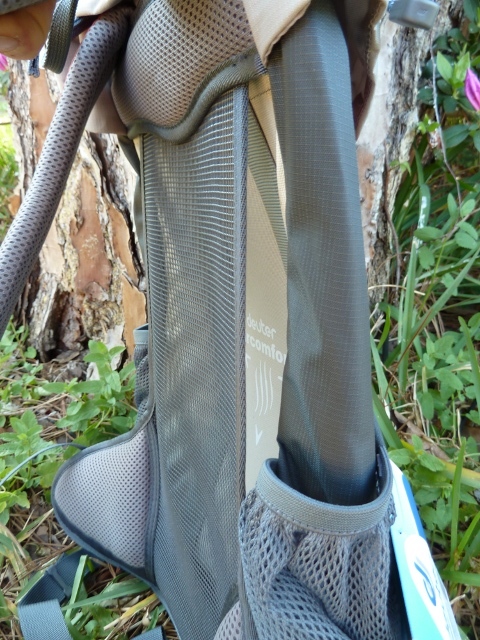 The right shoulder strap has a velcro wrap to secure the drinking tube. On the outside of the pack you’ll find dual mesh side pockets and trekking loops to secure your poles when they’re not in use. I found them to be a little small for the Black Diamond Trail Shocks. They work, it just takes a little longer to get the second pole in and out. 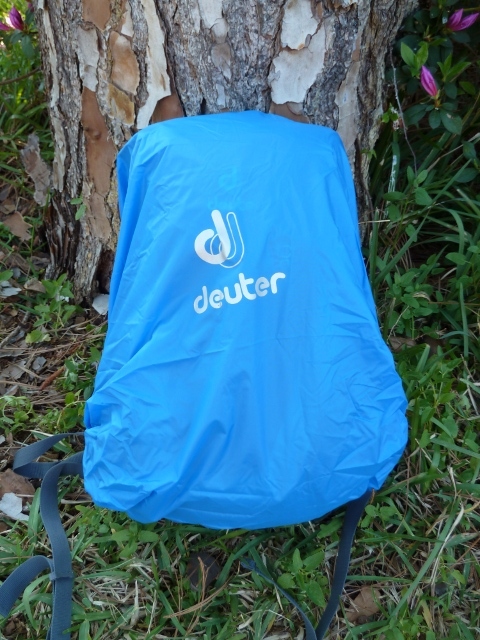 One of the nicer features I had on a previous pack which isn’t available on my larger Deuter is an integrated rain cover. 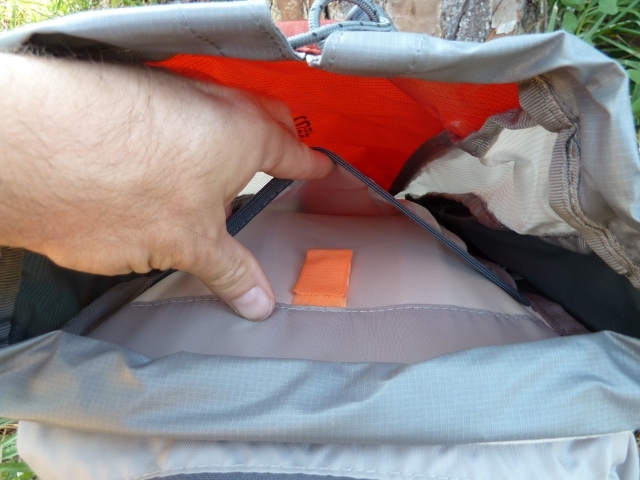 There is a zippered pocket on the bottom of the pack and the cover is permanently attached via an elastic band. 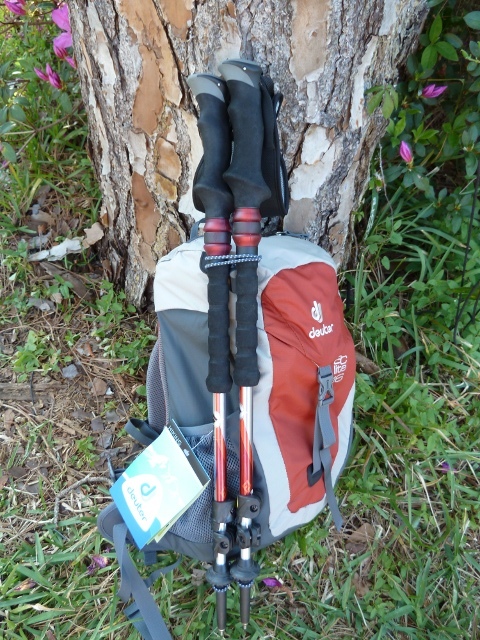 Overall this is a very nice pack for short trips. It seems to be pretty comfortable even though I had to have the shoulder straps almost fully extended to drop the pack to just above my hips. It really rides at my kidneys which isn’t unexpected in a one-size fits all pack. Unfortunately I’ve been sick this past week and while I was well enough to hit the trail today I didn’t think it would be wise to get back in the woods with my allergies still aggravated. Hopefully I’ll get some dirt under my feet next weekend and I’ll be able to post a trail update. This is a very nice pack.